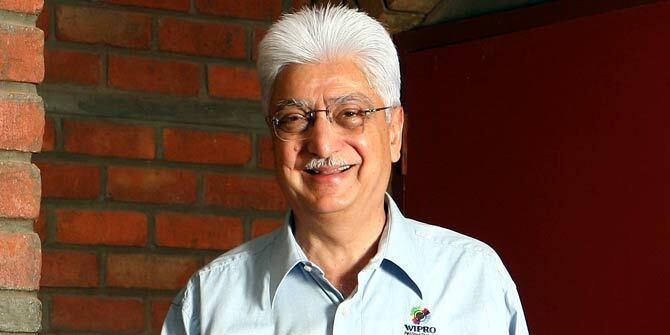 Indian business tycoon and investor and Ex-Wipro CEO Azim Premji has once again emerged as the biggest philanthropist in India as of now. For the third time in row, he has been declared as the ‘most generous Indian’ by Hurun India Philanthropy List. Premji has donated Rs 27,514 crore for education through The Azim Premji foundation that works in 8 states and has more than 350,000 schools. Aziz Premji has been touted as one of the most influential entrepreneurs in India and has also been known as one of the richest people in India. According to a statement from Hurun Research Institute, Nandan and Rohini Nilekani take the second spot in the list with a contribution of Rs 2,404 crore while NR Narayana Murthy & family take the third spot with donation of Rs 1,322 crore for encouraging entrepreneurship, social development and education. The rank was followed by HCL’s Shiv Nadar at 6th and Mukesh and Anil Ambani at 7th. Traditionally Indian entrepreneurs aren’t really known for their largesse compared to their western counterparts. Bill Gates is said to have committed 90% of his wealth to philanthropy. Recently Facebook founder and CEO Mark Zuckerberg announced that he’d be donating 99% of his stock towards “making the world a better place. Though, with a renewed focus on corporate social responsibility and rise of social awareness, entrepreneurs are turning more generous than ever.